Bike share systems are in place in over 500 cities around the world, and the transformational effect on the urban landscape is massive. 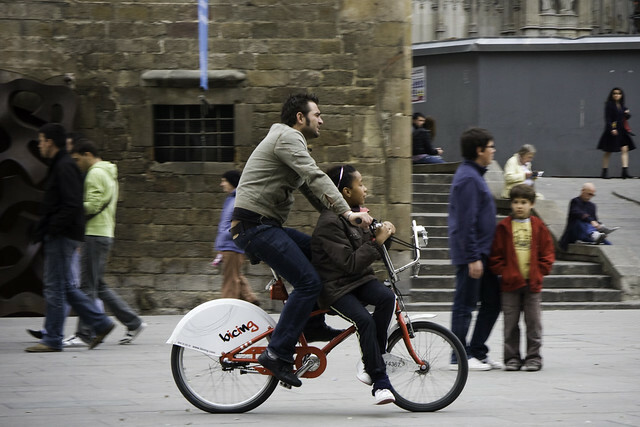 They have proved to be a real game-changer in our quest to reestablish the bicycle in our cities. 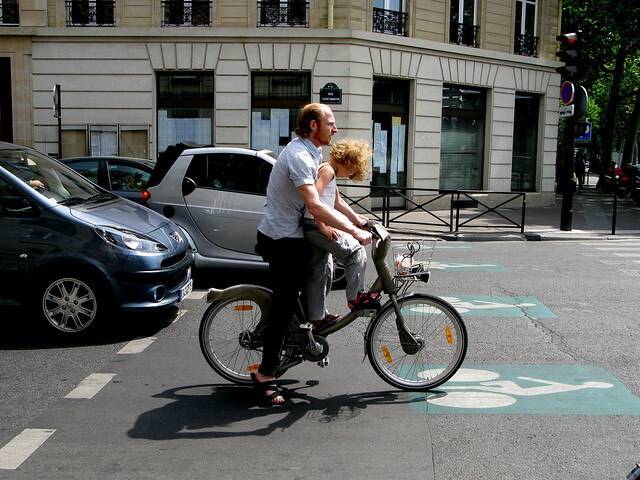 These photos put the 'share' back into Bike Share. 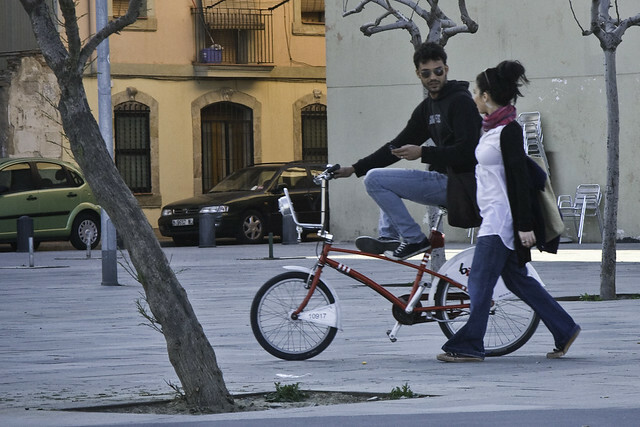 Cycling is sociable and certain citizens take bike sharing to the next level. 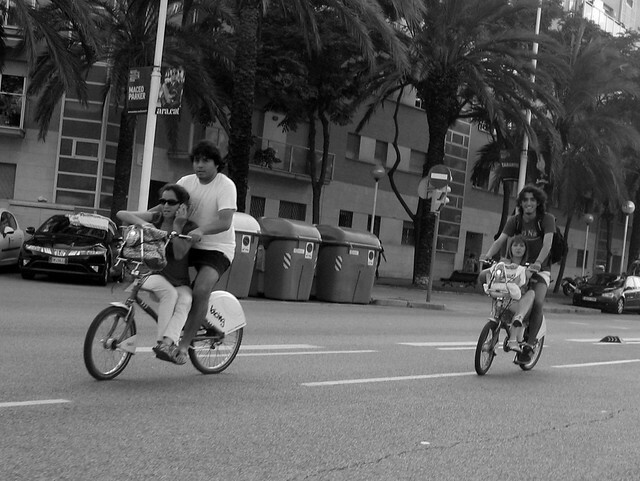 We've seen it in many cities around the world - people doubling on bike share bikes - but here's a selection of photos that we've captured. 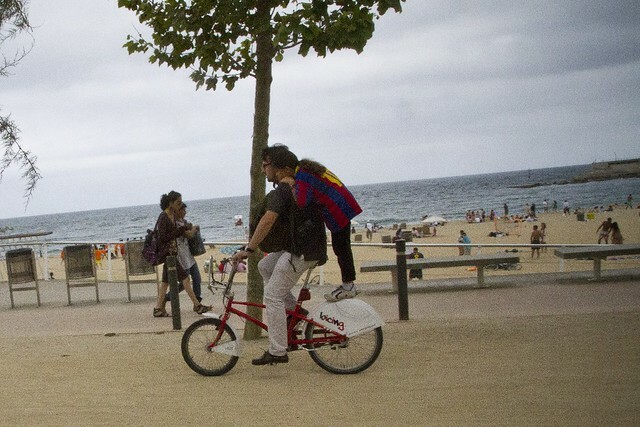 Barcelona seems to understand the concept of sharing bike share bikes more than anyone else. 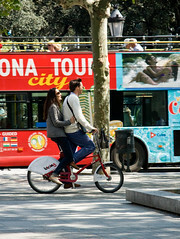 Although the design of their Bicing bikes seems to invite passengers more than other bike designs. 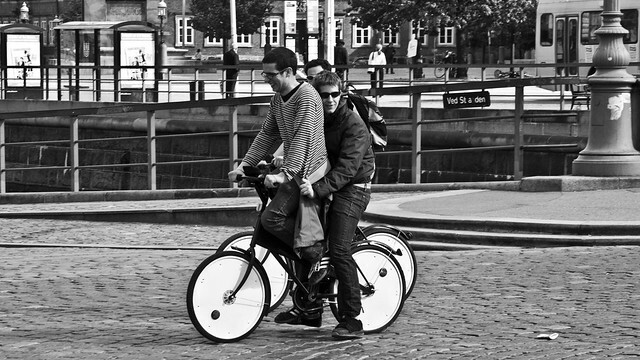 In a pinch, even the old Bycykel bikes in Copenhagen could accommodate a friend. Just let your passenger have the seat and you can stand up and pedal. The same applies to any bike, of course. 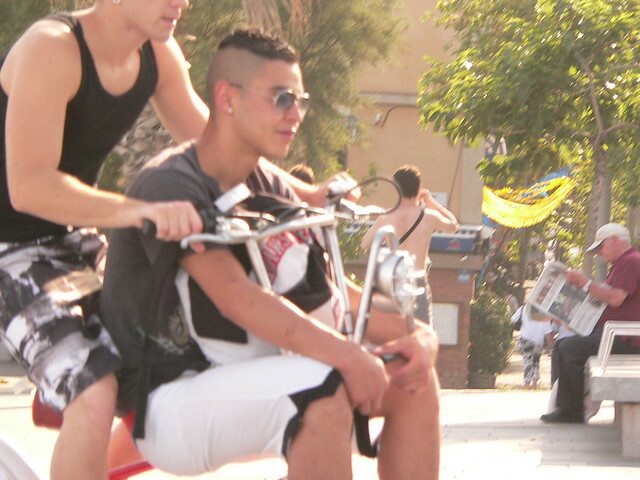 Like Bicing in Barcelona. 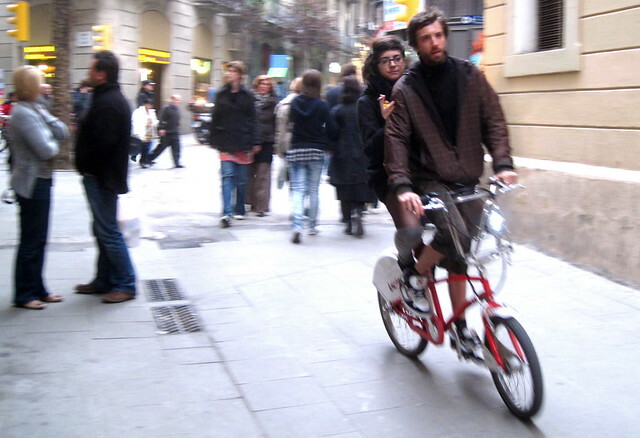 While the Stand and Deliver technique is popular, the Bicing bikes in Barcelona are used in a much more comfortable way. Just have a seat. Go on a double date. 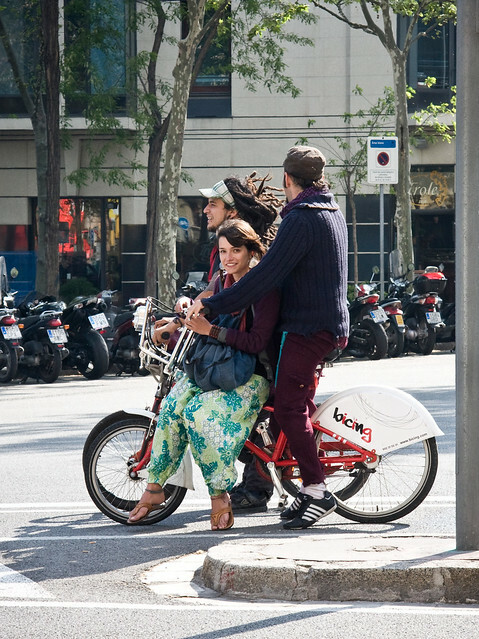 To share a bike share bike you don't necessarily need to be both ON the bike. Here the young lady is pushing the young man along as they chat. But sharing the frame seems to be the most widespread technique. And the most enjoyable. Even if it's standing room only. And why not share the bike on the school run?